In late 1300s, China drove out the despotic Mongol rulers and established the Ming Dynasty. This was the first time in centuries when a unified China was ruled by the Han people. The first Ming emperors undertook several monumental projects that were and still are astonishing today. It can be said those Ming emperors were unabashed megalomaniacs. The Mongols were driven out of China proper but they were still a military threat. The Great wall was rebuilt at great expense and manpower. The brick and stone Great Wall we visit today is mainly built in that period. The capital of Ming Dynasty was moved from Nanjing to Beijing and the Imperial Palace was expanded and built into what we see today. No expense was spared in using the best and the most precious material in building the Palace. One marble slab that weighted 250 tons was transported by 20,000 men who dragged it on roads frozen over with ice in the winter time. To praise the great achievement of the founding Ming emperor, a colossal stone stele was to be erected. It would have been composed of the base, the stele, and the crown. 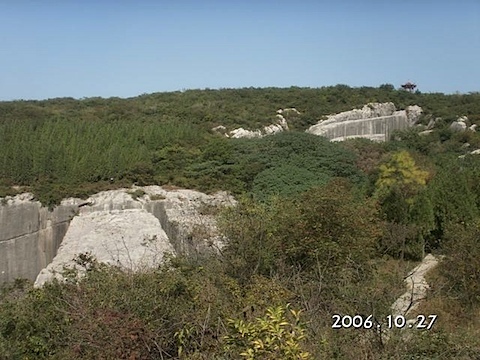 A limestone hillside was quarried by cutting solid blocks from the hill. The base alone weighs 26,000 tons and, if built, all three would weigh 56,000 tons and be as tall as a 28 story building. The project was abandoned when the impossibility of transporting monoliths as heavy as battleships was finally understood. The partially cut stone in the lower left corner of this photo is the base, and the crown and stele are in the upper right. 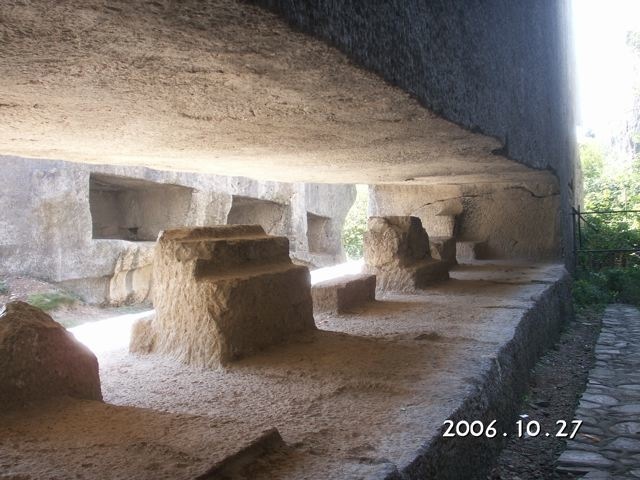 The unfinished crown and stele lay in their quarry. I could stand upright in the cutouts under the stones. The 150 feet long stele is supported at two ends and has a span of about 70 feet. 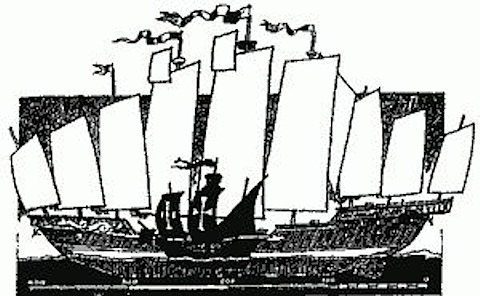 China built a great fleet of large ships to visit lands from Java to Mozambique. History recorded 7 trips made by fleets of hundreds of ships with up to 27,000 men. 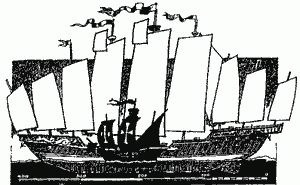 The largest “Treasure Ships” were said to be over 400 feet long and 100 feet wide. They would have dwarfed their contemporary European ships. Unfortunately, almost all ship, maps, technical information and captains’ logs were destroyed when China turned inward and locked itself off from the rest of the world. 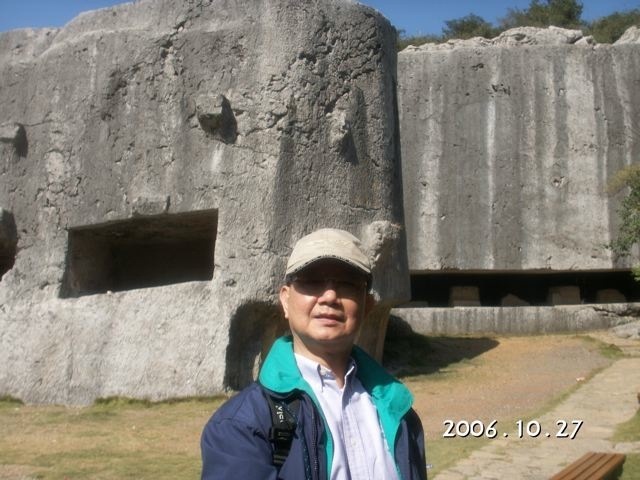 There has been doubts about China’s ability to build such large Treasure Ships 600 years ago. 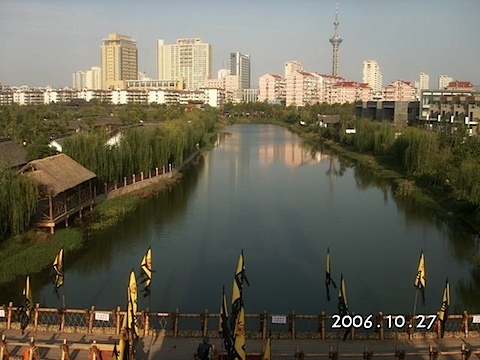 The Ming shipyards in Nanjing have been restored and is available for visits. Three of its seven dry-docks are included in a park. Each dry-dock is over 100 feet wide and 1,500 feet long. They are definitely large enough to build the great fleet. 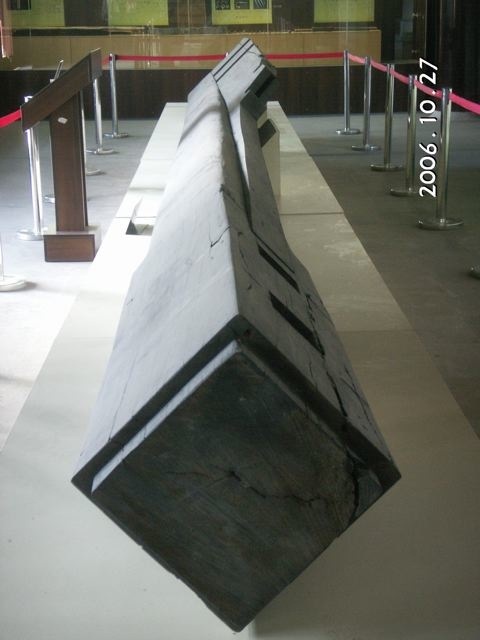 A rudder post was found when the dry-dock was excavated. It is 36 feet long and is beautifully crafted. Experts estimated that this should fit into a 400 feet long Treasure Ship. Posted by Robert Wu on Sunday, November 19, 2006, at 10:08 pm. Filed under Uncategorized. Follow any responses to this post with its comments RSS feed. You can post a comment or trackback from your blog.